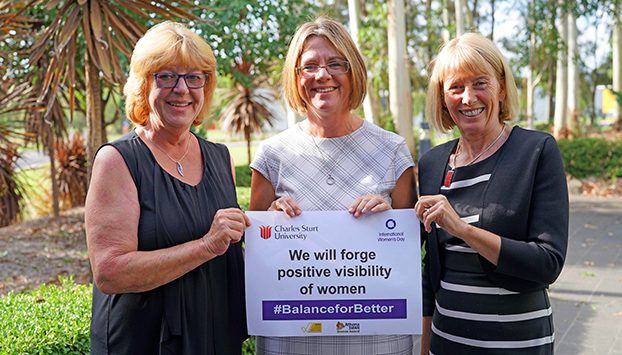 The face of Australia’s pastoral country is changing, and research led by Charles Sturt University (CSU) is investigating options for a more sustainable future. Involved in this research is a team of ecologists and botanists led by Professor David Watson at the CSU Institute for Land, Water and Society, who are assessing how biodiversity conservation could be integrated into more holistic management of arid and semi-arid rangelands while embracing Indigenous knowledge. “Central to this concept is the idea that profitable land-use need not be extractive; that best practice management should increase soil health and maximise value for native wildlife while maintaining a profitable livelihood from the land,” Professor Watson said. One group of plants that hold great promise are the Santalum genus of native parasitic trees –of which sandalwoods are the most iconic. These trees produce fruit, seeds and highly valuable timber and essential oils. They also provide quality habitat for many native plants and wildlife across central Australia. While there have been recent innovations in growing sandalwood species in plantations, the Australian industry still relies harvesting wild plants, potentially reducing habitat and other values for native pollinators, digging marsupials, and fruit-eating birds that disperse their seeds. 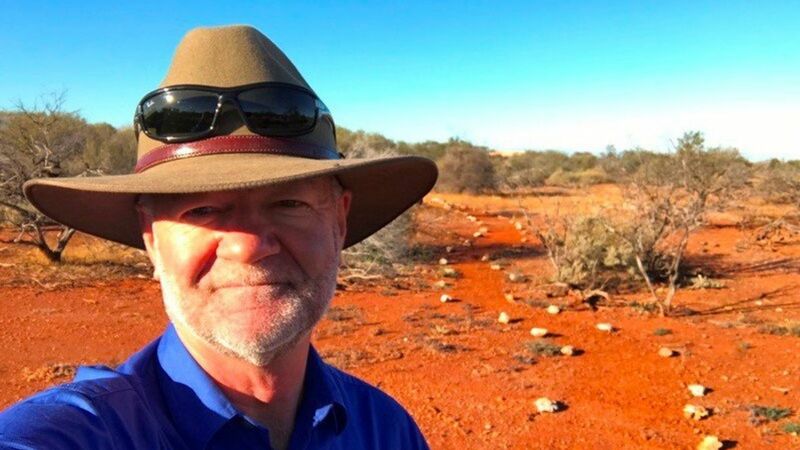 Mr Richard McLellan recently joined the research team as a CSU postgraduate student based in Geraldton, WA, on the edge of an extensive semi-arid rangeland region. Recently retired, Mr McLellan is a woodland ecologist who grew up on a farm in WA’s Wheatbelt region, 200km east of Perth. With a degree in environmental studies and 15 years’ working with the global conservation organisation World Wildlife Fund (WWF) in Australia, Cambodia and Switzerland, Richard brings his experiences in broad-scale landscape and forest program management projects and sustainable development, climate and energy to the team. His final job before retiring was as the CEO of the Northern Agricultural Catchments Council based at Geraldton. During his three-year project, Richard will investigate the role that sandalwood play in the environment; and their importance in the natural landscape and for revegetation. 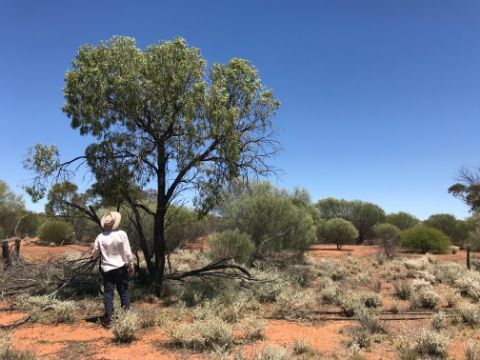 The project’s three field sites are on Bush Heritage Australia properties in the nearby western rangelands: Hamelin Station Reserve, Eurardy Reserve and Charles Darwin Reserve, all of which are overseen by Richard’s wife, Elisabeth, the regional Healthy Landscapes Manager. 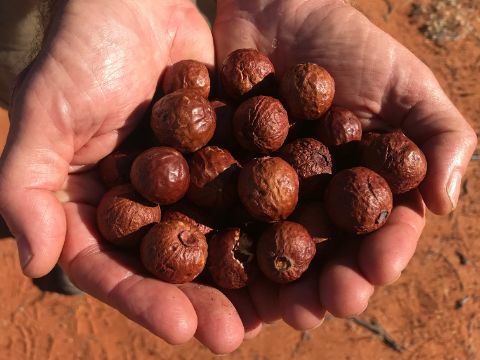 Mr McLellan says while much research has been done on sandalwood, mostly it has been in terms of what can sandalwood do for humans in commercial production, or for use in regeneration or revegetation. “There has been very little on what it contributes to the environment – what ecosystem processes they provide, what animals depend on them, and whether they provide benefits such suitable micro-climate refugia for native animals,” Mr McLellan said. 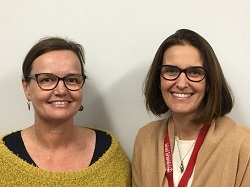 Mr McLellan is also excited by the possibilities of some ‘two-way science’, involving an exchange and combination of Western scientific and traditional Aboriginal ecological knowledge. “Hopefully this collaboration with local Aboriginal knowledge holders will help ensure these plant species such as quandongs, which are so important culturally, are retained in the landscape and in their lives,” he said. Professor Watson is confident Richard’s and other research by the team can lead to improved conservation, and more sustainable exploitation of sandalwood resources. “This project, by generating significant new knowledge around a couple of iconic Australian endemic plant species, will inform the development of more sustainable industry practices,” Professor Watson said. Mr McLellan’s study is part of the ILWS research project How do sandalwoods (Santalum spp.) affect desert communities: integrating above-ground patterns with below ground processes, led by Professor David Watson.